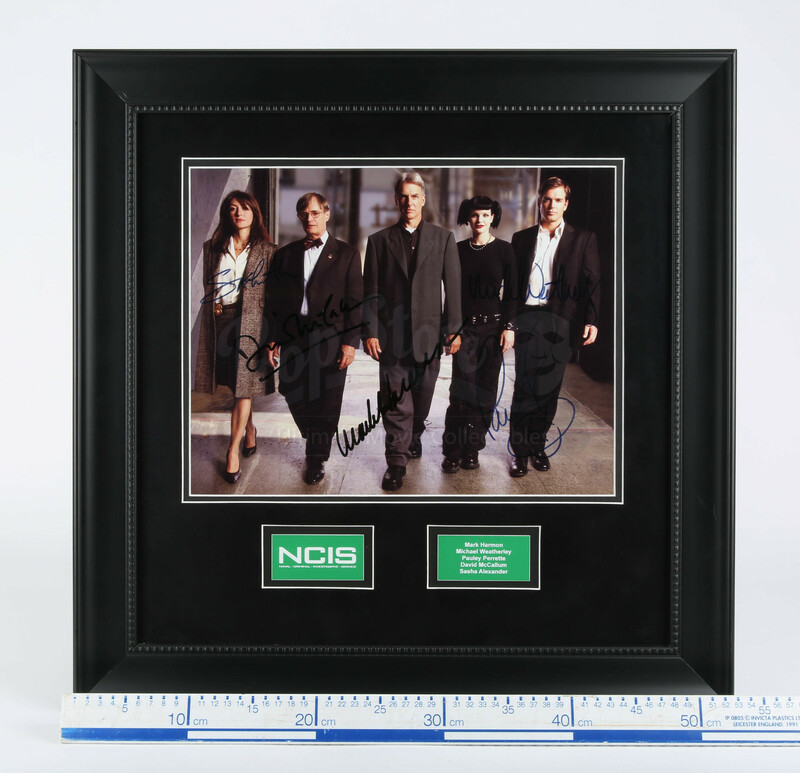 A framed and signed cast photo from the hit crime procedural show NCIS. Special Agent Leroy Jethro Gibbs (Mark Harmon) leads a team at the NCIS (Naval Criminal Investigative Service) as they investigate all manner of wrongdoing around Washington, D.C. 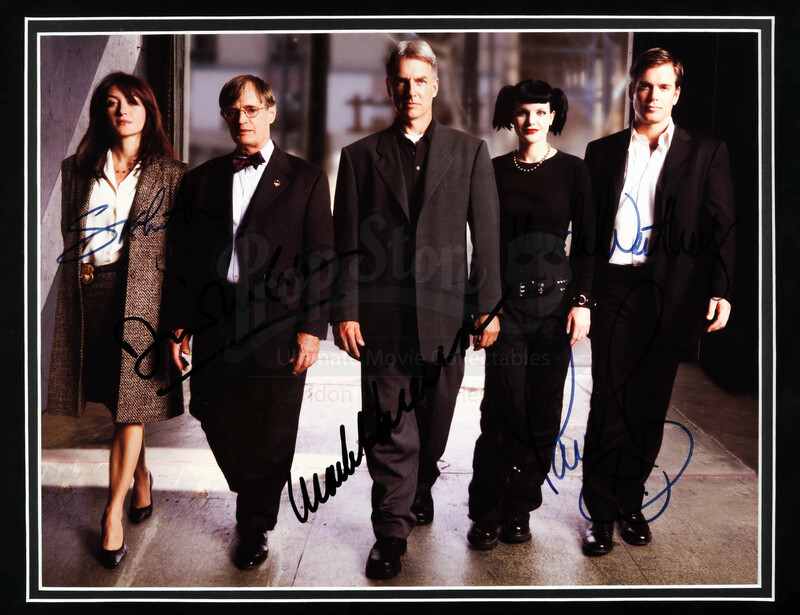 This photo has been signed in marker pen by the five original principal cast members of the show: Mark Harmon (Jethro Gibbs), David McCallum (Donald Mallard), Pauley Perrette (Abby Sciuto), Michael Weatherly (Anthony DiNozzo) and Sasha Alexander (Caitlin Todd). 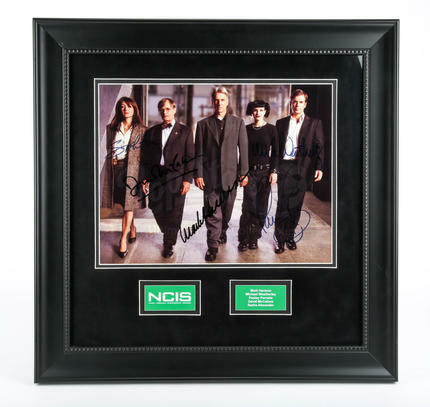 Set in a black wooden frame under acrylic, this custom-built display also features the show’s logo and a little plaque listing the names of the signatories. This piece remains in an excellent condition. Materials: Ferrous Metals, Card, Acrylic, Paper, Wood.